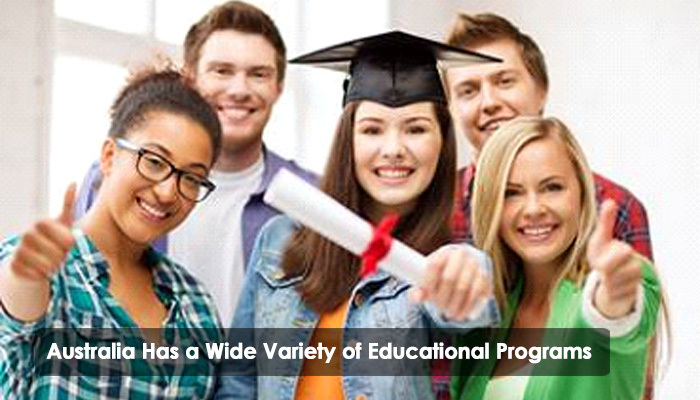 Want to go in Australia for Education? A little-known secret when it comes to education is that Australia offers a wide variety of specialized courses that can elevate a student’s interest and studies to a level that is hard to match anywhere else. Australia is actually renowned as one of the best places in the world to gain a top-notch education, and for good reason. Students from all over the world are typically drawn to Australia to study thanks to the fact that is able to streamline a student visa, can provide medical and hospital insurance to students, and the chance to work part time in order to cover any added expenses. The visa is available to most anyone that isn’t a current Australian resident and is good so long as an individual is still enrolled in school. The ability to work is a big bonus as some schools won’t even think about offering financial aid if a student is working too much. This tends to give those in charge of dispersing funds the wrong idea that a student can pay their way out of pocket if they’re working so much. Unfortunately in this day and age that isn’t the case, as paying for college out of pocket went out with the 1990s unfortunately. The advantage of being able to work while going to school now isn’t so much about having extra money to have fun, it’s more or less to insure that you can eat and get around while attending classes. Students can only work 40 hours per two weeks while class is in session, but during breaks can work an unlimited amount of time, so it works out as a pretty good deal for the student. Immigrants thinking of coming to Australia to study are in for a real treat as the country is simply rife with places to go and things to do and see. When not in class or working Australia offers a plentitude of absolutely breathtaking sites to visit and a happening nightlife that can be quite entertaining for a young person seeking to have a little fun after class. The country actually stands as 3rd in the world when it comes to hotspots for overseas students. It also offers roughly 22,000 courses between 11,000 institutions across the country. It’s hard to argue with the numbers of those that have decided to pack up and head to Australia when you see how much it has to offer. Previous PostWhat Jobs are Available in UK? Next PostWhat Jobs are Available in Hong Kong? I dream is to Visit Australia. Interested to do MS in Australia, kindly provide me more detail….???? Thanks for the article, once i complete my B.tech then i will consult with your team for doing MS. Awesome Article, I love it.